When Is the Anointing of the Sick Celebrated? Were you raised in a Christian denomination and have faithfully practiced in that tradition throughout your life but now find yourself drawn to the Catholic Church? 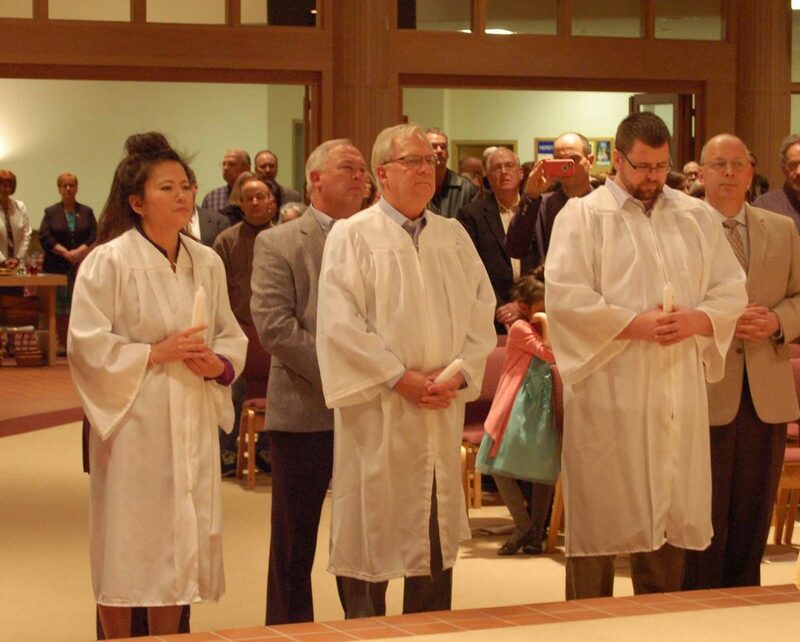 If so, Holy Martyrs now offers a special process that is tailored for those who are already well-formed in the Christian faith but who would like to become Catholic. We call this new process FOCUS and we offer it once a year. Our intention with FOCUS is to offer it at a time that works for participants, including those who may have travel commitments with their jobs. We would like to hear from you if you are drawn to the Catholic faith and want to see if FOCUS is the appropriate process for you. Please contact Janet Payton at jpayton@holymartyrs.net or 330.722.6633.